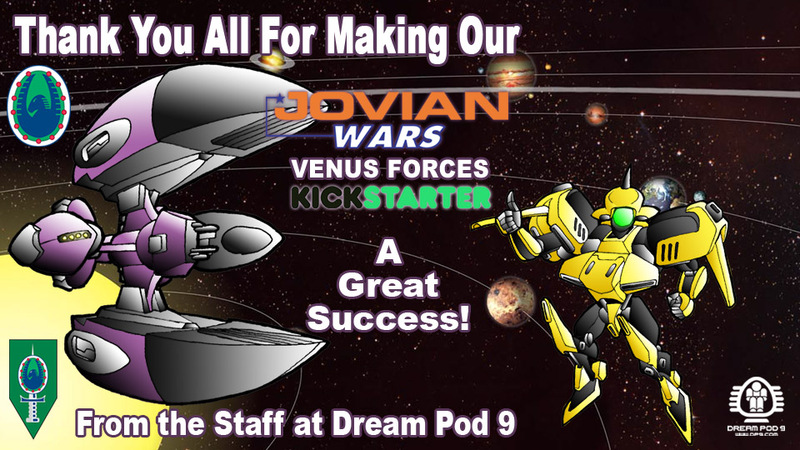 Read more about Jovian Chronicles News! Caprice Mounts Part Sprues Preview! Read more about Caprice Mounts Part Sprues Preview! 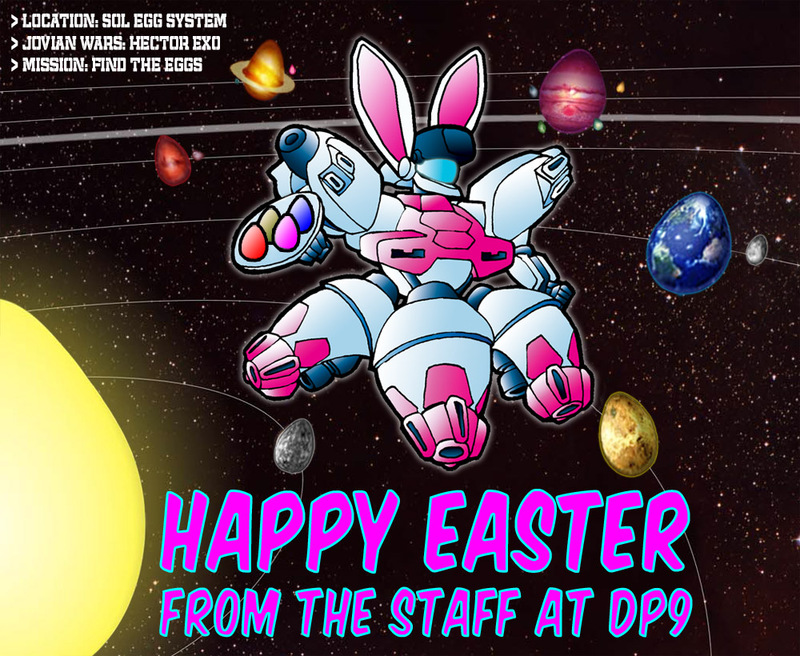 Happy Holidays from Dream Pod 9! Now that the Black Friday weekend is behind us, we updated the Dream Pod 9 website and online store graphics for the holidays. During the 2015 Holiday Season (now thru the morning of January 4th, 2016). All DP9 Online Store orders over $100 will receive our new Chibi Kodiak Xmas Gift 2015 mini (a $24.99 value) free with their order, limit one per customer. Read more about Happy Holidays from Dream Pod 9! Chibi Kodiak 2015 Xmas Gift Resin Miniature! 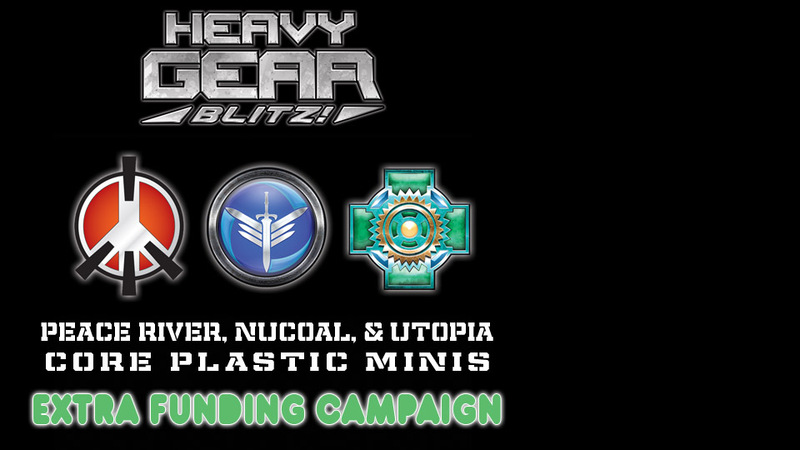 Phil has been having fun sculpting a cute new Chibi Gear for our 2015 Xmas Gift. His latest master piece is a Chibi Kodiak with Hawaiian Hang Loose Hand Sign and painted up in the Northern Blue Angels regimental color scheme. The attached image includes Chibi Kodiak front and back views, resin parts photo and with the Chibi Hunter and Jager for scale. The miniature stands 50mm tall by 80mm wide when assembled. Read more about Chibi Kodiak 2015 Xmas Gift Resin Miniature! Happy Thanksgiving to our American Cousins! We asked our artist, John Bell, to make a Chibi Thanksgiving Gear for the holiday and he came up with a Chibi King Cobra in turkey color scheme for you all to enjoy. The Thanksgiving Holiday is a time to visit with family, talk, eat turkey, watch some football, and prepare yourselves mentally for the madness that is Black Friday to come. Read more about Happy Thanksgiving to our American Cousins! 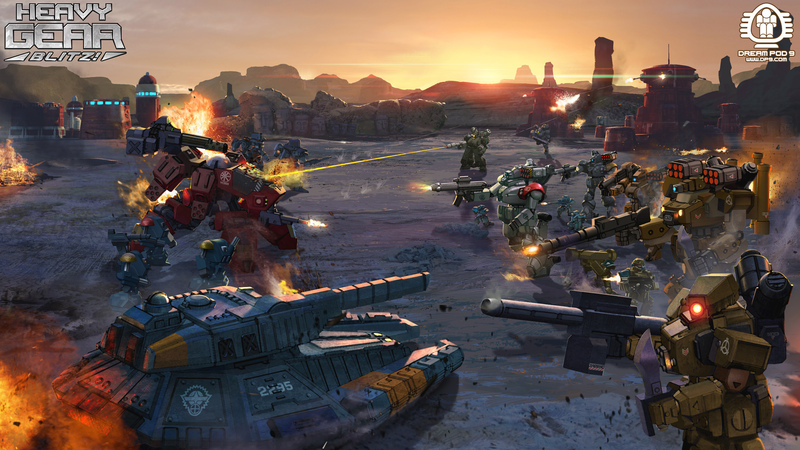 We made some different size wallpaper images, using the New Edition Heavy Gear Blitz Artwork unveiled last week, for fans to use on their PCs and Cel Phones.